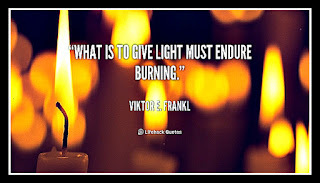 "Rabbi, why is it so difficult? Why do I have constantly hardships, difficulties coping…? "​ STORY. "In the painting one sees the beach. The sun is setting, a couple of kids are playing in the sand, and an old couple is walking in their direction. Sunset tells me a lot. It has a lot of meaning. The symbolism of the sun going down and the hope that tomorrow it rises again. The kids play and do not even relate to the elderly couple walking beside them. A generation goes and a generation comes. This gives me a lot of thoughts and feelings. " The revelation of G-d. Stress & anxiety relief. Fulfillment in life. Very SERIOUS stuff. The great Philosopher and Jurist, Rambam - Maimonides (1138 - 1204) saw the greatest achievement in life, the greatest fulfillment of and in life, as someone who with his intellectual effort and power understood and appreciated the One, who created the entire universe. Someone, who throughout the day even while involved in mundane jobs, was always in the presence of, His Majesty. Someone who experiences G-d with him/her all the time. This awareness, is the only healthy and blessed way to release oneself from past bad experiences and traumas, current tumultuous emotions, anxieties, stresses, and depression. This, is the only guaranteed way to happiness and joy ALL the time. As Maimonides is wrapping up his Guide for the Perplexed, he writes. “…In conclusion….explaining the worship, as practiced by one who has apprehended the true realities peculiar only to Him, after he has obtained an apprehension of what He (G-d) is……. At this juncture, Maimonides is making a very important and critical point. 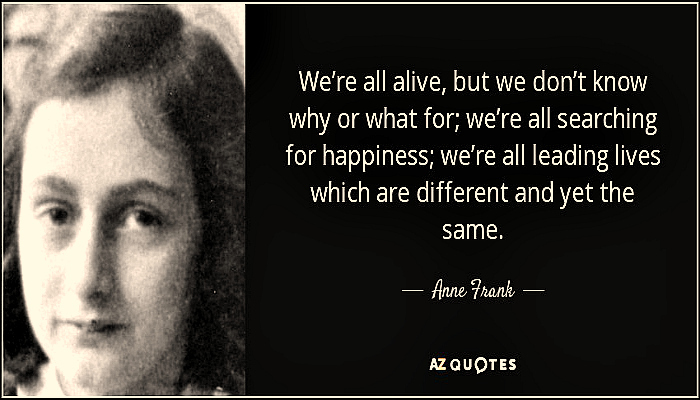 Reality of “What G-d is”, is peculiar, unique, to EACH individual. As the Baal Shem Tov taught many times, a person’s own world is between his ears, in his brain. Maimonides goes on to offer the reader a parable, which he says he invented, to appreciate more vividly the journey of life for the truly interested traveler. Where, the greatest degree of self-actualization takes place. The Majestic King and ruler is in His palace. His subjects are partially within the city and partially outside the city. Of those who are in the city, some have intentionally turned their backs away from the Kings Palace while their faces are in the opposite direction. Others, are seeking to reach the Kings Palace and are facing in His direction, but have not made it to the Palace. Some have made it up to the outside gates of the Rulers Palace and are walking around the walls looking for the gate of entry. Some have come inside and stroll about the antechambers. Some have made it inside the Kings inner chamber and are with him, but have not necessarily heard his voice or seen him. They still require another effort to come within hearing and seeing range of the King & Ruler. According to their ongoing effort they will hear, see, or even get to speak with the King & Ruler. Those who are outside the city, are all human individuals who have no doctrinal belief, neither one based on speculation nor one that accepts the authority of tradition….They hardly can be considered ( having reached the potential and true definition of) humans. Those who are inside the city but have turned their backs to the rulers’ habitation, are engaged in speculation of G-d, but have adopted incorrect opinions because of either their own great errors or the errors of the one they follow. Since they hold on to these opinions and conclusions, the more they walk the greater is their distance from the rulers’ palace. These people are far worse than the first group. The multitudes of people who follow the law, ignoramuses, who observe G-ds commandments, seek to reach the Kings Palace and to enter it, are pointed and face in the right direction. They, never get inside to see the rulers habitation. Those who have come up to the majesty of His habitation and walk around it, are the ones who believe in true opinions on the basis of traditional authority, study the law concerning divine practices, but do not engage in speculation concerning the fundamental principles of religion and belief. As long as one is involved and engaged in studying the sciences at best, they are of those who walk around searching for the gate. If they understand well, the natural things, they may have even entered the habitation of the King. It is only when they understand Divine science they have entered the inner court and are with Him in His habitation. On this level, there are many different ranks. Those, who have plunged into speculation concerning the fundamental principles of religion, have entered the antechamber of the Majestic habitation of the Ruler and King. People there, absolutely have different ranks according to the extent it is possible to ascertain in Divine Matters. Then, there are the ones who renounce anything other than Him, and direct all their acts and intellect towards Him, know and feel His governance in all. This is the rank of the many prophets, their Divine inspiration, miracles etc. we read about in the Torah. It is through their choices of conduct that they have refined their bodies and lives to receive the full flow of Divinity. I invite any and all those reading this article to our classes, where we dabble and speculate in the Divine sciences, so we can at least be within the electrifying energy and scent of the antechamber, in which the KING Himself is found. In the antechamber of the King, you get to rub shoulders with powerful energy. 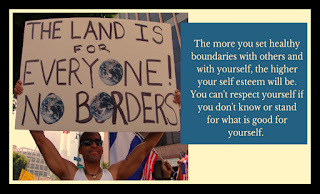 Knowing and respecting boundaries. The case for refugees and open immigration. Human existence is defined and complete, by the land and the home in which we live. Giving charity and being kind is as well an essential expression of our character and humanity. The Prophet Micha tells us, “He has told you, O man, what is good, and what the Lord demands of you; but to do justice, to love loving-kindness, and to walk discreetly with your God.” This is what defines our unique character traits as people of the book, and as G-ds people. Although it is a Mitzvah and proper to help others, to give charity, one of the decrees our sages enacted is that a person (on a regular basis) should not give more than a fifth of his possession to charity, otherwise he might become himself a charity case. In the same way that it is essential for people to have their own space, be in control, and at home in that space, not feel threatened and at ease, in peace and tranquility, the same applies to the land and the homes in which many people live, which we call a country. If anyone went shopping for a few hours and left their back door open, and a poor, unclean, hungry, homeless person violated someone’s private property by trespassing the boundary into private territory by coming in to use the facilities, and grab a bite, no one in their right mind would demand the homeowner allow this fellow space in the house for even one night or one hour, for the sake of mercy. Things become a lot more complicated when the person coming in may have all kinds of diseases and is putting the inhabitants of the house at risk of sickness, or worse. Things become a lot more complicated when the resources this homeless person is using, comes at the expense of the inhabitants of those who are already barely getting enough food themselves. Our country is a very wealthy and productive one, however our resources are not endless. In our country, we have veterans who deserve the red carpet for putting their lives on the line to protect and defend our ideals of freedom and democracy, and many are sick and hungry. We have citizens of this great country who don’t have health insurance, and barely make enough to get by from one day to the next. We have infrastructure on the brink of collapse. Sure, I understand we are a country of immigrants, of legal immigrants. Immigrants, who came in through the front door, filled out forms the legal way and were part of acceptable quotas. Jewish law does not allow one to put themselves in any danger for the sake of doing a kind deed for another. A person has a responsibility first and foremost to take care of themselves, and those who are close to them, before endangering their own lives for others. 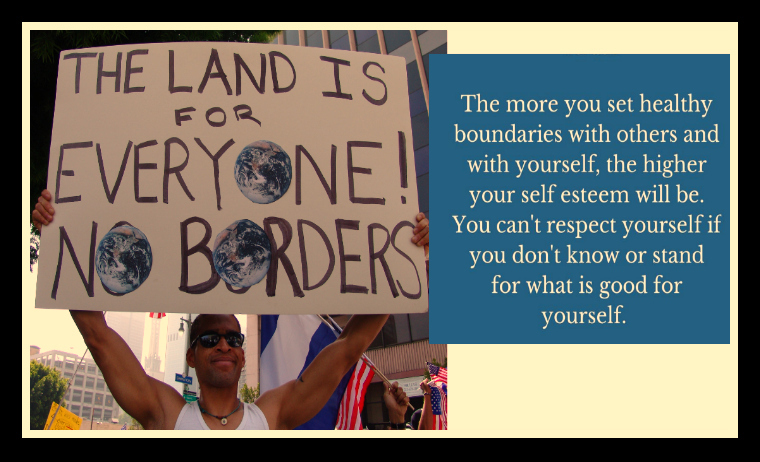 In the same way that every person has his own boundaries, and the boundaries of his own property that identify mine from yours, countries are the same way. Countries are like huge homeowner associations and gated communities. For the safety of everyone in a gated community, we just don’t allow anyone who we have no clue whom they are, to come in and roam around. Especially when we know they are hungry, and looking for a comfortable bed to sleep on, may not have the best character traits and may be sick and unclean. There needs to be a procedure that does not compromise the safety or jeopardize the health of everyone in the community. This is reasonable and the law. Using this logic, there is no reason anyone would claim it should be any different for our, on a larger scale, gated community, our country, unless the person does not agree with any of the principles enumerated above. It is the ways of G-d and the ways of blessing to be giving and kind. To lose respect for the importance of one’s own boundaries and identity as a human being, and exposing our own, to unvetted guests, is pious foolishness.